Surviving §101 Step 2: Is there ‘Significantly More’? Earlier this year the Supreme Court issued a ruling in Alice Corp. v CLS Bank Int’l, which applied the Mayo 2-part test to computer-implemented subject matter. The 2-part test asks: (1) whether the claims at issue are directed to patent-ineligible concepts; and (2) if yes, is there something “significantly more” in the claim to ensure that the claim is not merely covering just the ineligible concept. In part 1 of this article I addressed how to survive §101 challenges based on the first prong of the Mayo/Alice test. Today I discuss how to survive §101 step 2. If the claim is directed to a patent ineligible abstract idea, then the second step in the §101 analysis is to look at the claimed elements individually and looking at the claim as a whole to determine if there are additional elements that transform the claim into a patent eligible application of the abstract idea. This is also characterized as a search for an “inventive concept,” i.e., an element or combination of elements that ensures the patent in practice amounts to significantly more than a patent on the ineligible abstract idea itself. In Alice, the Court looked at claimed elements individually to see if it was merely “conventional.” The concern is that “[s]imply appending conventional steps, specified at a high level of generality, was not enough to supply an inventive concept.” Generally linking the abstract idea to implementation on a generic computer or reciting generic computer components is not enough. The Supreme Court has now, at least twice (Mayo, Alice), reinforced the potential overlap between §101 and novelty in searching for the “inventive concept” and whether there is “significantly more” beyond the abstract idea. Don’t fight it. Take advantage of it. The overlap between §101 and novelty justifies the use of cited prior art as the basis for comparison for §101 step 2. Patentability already requires the claimed invention to distinguish over cited prior art, so there is no demerit for turning §101 step 2 into a modified prior art analysis. There may be admitted prior art, or disclosures of “conventional” art, in a patent specification. There is almost certainly prior art cited by the examiner and/or a litigation opponent. If a “correct” patent ineligible abstract idea is identified in §101 step 1, it should be at a high level of generality (something fundamental, building block, or basic tool). If so, the cited prior art is “more” or narrower than the abstract idea since the cited prior art identifies different specific ways for carrying out or achieving that abstract idea defined at a high level of generality. Next, dovetailing off the claimed limitations that distinguish over the cited prior art (satisfying 35 USC §§102 and 103), the claim, with those distinguishing features, is “more” or narrower than the cited prior art. So, if the cited prior art is “more” than the abstract idea, and the claimed invention is “more” than the cited prior art, the claimed invention must be “significantly more” than the abstract idea, i.e., claimed invention > cited prior art > abstract idea, so claimed invention >> abstract idea. The essence of this new framework is to use cited prior art (and/or admitted prior art) as a basis for comparison, so that the claimed limitations that distinguish over the cited prior art (for §§102 and 103) can be used to demonstrate how the claimed invention is “significantly more” than the patent ineligible abstract idea. In this hypothetical, the claimed invention is some computer-implemented feature that determines x by doing y in some technological field. The “determining x” component is conventional. 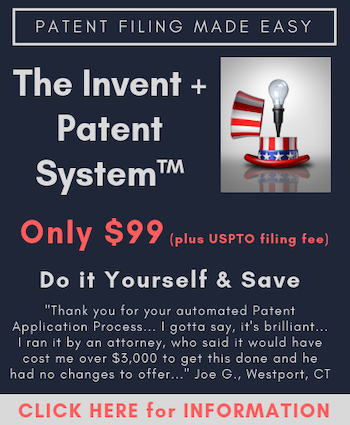 The invention is in determining x “by doing y.” To survive §101 step 2, it can be said that the various cited prior art and whatever the specification admits to be “conventional” constitute many different specific ways to perform the patent ineligible abstract idea. Such prior art specific ways of doing the abstract idea are “more” than simply the abstract idea itself. And, to the extent that the claimed invention distinguishes over the cited prior art (for the reasons set forth elsewhere addressing §§102 and 103), the claimed invention is another different specific way of doing the abstract idea, “more” than the cited prior art, and therefore “significantly more” than the abstract idea. The Alice Supreme Court cited Diehr as an example of a patent eligible “significantly more” claim, emphasizing how Diehr’s use of an otherwise patent ineligible abstract idea (the well-known Arrhenius mathematical equation), to determine when to open a mold in a rubber molding process, improved an existing technological process by solving some technological problem in the conventional industry practice for rubber molding. The computerized use of the Arrhenius equation in the computer arts was used to improve another technology – rubber molding. The recent Federal Circuit DDR decision highlights the importance of solving a technological problem. Judge Mayer’s dissent in DDR asserted that DDR’s patents were attempting to claim the well-known business practice of a “store within a store” using a generic computer and the Internet. Judge Chen’s majority opinion characterized the problem as being “the ephemeral nature of an Internet ‘location’ [and] the near-instantaneous transport between these locations made possible by standard Internet communication protocols.” This technical problem does not exist in traditional “brick and mortar” physical warehouse stores having a cruise vacation package kiosk, where visitors to the kiosk are still inside the warehouse store. Another example of the improvement in technology/technical problem solved argument can be found in Card Verification. There, the abstract idea was transaction verification – a fundamental economic practice. However, the court noted that the claim “not only recites a process for verifying transaction information, it also involves a protocol for making the communication system itself more secure. …even though the method does not result in the physical transformation of matter…it utilizes a system for modifying data that may have a concrete effect in the field of electronic communications.” This is similar to the Supreme Court’s characterization of Diehr, where the claim is not simply directed to an abstract idea (the Arrhenius equation) but rather to solving a technological problem in another technology (rubber molding process). In Card Verification, the technical problem was non-secure communications in “another technology,” i.e., electronic communications. If possible, advantages in the “significantly more” analysis can be had by highlighting any technological problems solved by claimed features, whether in the same technology field, or in another technology. Another example of “significantly more” is some claimed feature that improves the functioning of the computer itself. Presumably, if some computer function is “improved,” it should no longer be a “generic” computer function. But, at the same time, it seems insufficient to merely recite a more “efficient,” “faster,” or even “improved” computer function. The devil should be in the claimed details of how some computer functionality is performed that (a) takes that computer functionality out of the world of “generic” and/or (b) leads to an improvement in the functioning of the computer itself. This “how” or some “special software” was what the Justices were looking for from Alice’s counsel during oral arguments. Justice Ginsburg asked if there is any “special software.” Justice Scalia said “we haven’t said that you can’t take an abstract idea and then say here is how you use a computer to implement it” and considered it favorable if there was some “serious program” involved, and not just the use of a computer. Justice Kennedy asserted that “the innovative aspect is certainly not in the creation of the program to make that work.” Justice Kagan challenged Alice’s counsel, “your patents really did just say do this on a computer, as opposed to saying anything substantive about how to do it on a computer.” The fact that Alice’s counsel admitted that a 2nd year engineering class or someone sitting in a coffee shop in Silicon Valley could write the code for the claimed invention over a weekend clearly meant there was no specialized, non-generic, computer software being claimed that could be considered as improving the functioning of the computer itself. The distinction is between some “generic” computer programming that merely carries out the abstract idea versus some specialized programming that improves the functioning of the computer itself. Any specialized software program or algorithm disclosed and claimed that can be characterized as improving the functioning of the computer itself helps the “significantly more” inquiry of §101 step 2. For example, in Card Verification, the claims survived a §101 challenge early in litigation in part because the court made a plausible interpretation of the claim to include a pseudorandom tag generating software. In Salesforce.com, a PTAB panel decision on CBM review held that the claims at issue were patent ineligible under §101, in part because “the claims do not recite a specialized algorithm that could move the claims from the abstract to the concrete.” Therefore, if there is some specialized software in the claim, one can argue that it improves some functioning of the computer itself. In another recent Federal Circuit case post-Alice, there was little surprise that on the third trip back to the Federal Circuit, now with the Alice guidance, Ultramercial’s claims were held patent ineligible. However, despite applying the Mayo two-part §101 test, Judge Mayer also adds, in dicta, a “technological arts test.” In the Alice concurrence, Justices Sotomayor, Ginsburg, and Breyer stated that business method claims and claims to organizing human activity are not patent eligible under §101. Similarly, for Judge Mayer, claims to non-technological disciplines, such as business, law, or the social sciences, are not patent eligible subject matter. In DDR, Judge Mayer characterized DDR’s inventive concept as “retaining control over the attention of the customer” which is entrepreneurial and therefore not patent eligible. For Judge Mayer, patent eligible claims must be directed to a technological objective, set out with a precise set of instructions for achieving it. In DDR, Judge Mayer commends the majority for correctly recognizing this technological requirement, but criticizes the majority for deficiently applying this requirement. However, the Alice decision only identified Mayo’s two part test, and not any “technological arts test.” The Alice decision did not bar entire non-technological disciplines. As noted above, only three of the Justices may have held such a view, but that is not the holding of Alice. During oral arguments in Alice, the Justices asked counsel representing the U.S. for an example of a business method claim that should be patent eligible. Counsel’s response was “a process for additional security point-of-sale credit card transactions using particular encryption technology, that…makes conduct of business more efficient or effective…a technological link…” Unlike Judge Mayer’s ban on entire non-technological disciplines, counsel’s example merely requires a “technological link” – the use of a particular encryption process for this business method for credit card transactions. Certainly, a sufficient technological link may constitute “significantly more” under Mayo step 2. Judge Mayer grounded his technological arts test in the Supreme Court’s favorable consideration of both the “improvement in technology” and the “improvement in the functioning of the computer itself.” Although these considerations by the Supreme Court do not rise to Judge Mayer’s ban on entire non-technological disciplines, they are related to the aforementioned “technological link.” The Alice Court’s twin considerations for patent eligibility also appear similar to the European “technical effect” requirement for computer-implemented inventions, grounded in the “technicality” requirement for an “invention” within the meaning of Article 52(1) of the European Patent Convention. Some European commentators used to begrudge their “technical effect” requirement in comparison with the more generous US practice that supported patent eligibility simply by implementation on a computer (the “special purpose computer” rationale from Alappat). With the Alice decision clarifying that simply implementing an otherwise patent ineligible abstract idea on a generic computer is insufficient to satisfy patent eligibility, the US standard for computer-implemented inventions may be considered to parallel the European standard. Going forward, expect to see new applications written with more descriptions of the conventional art, technological objectives, technical problems in the conventional art solved by the invention, and improvements in technology. As for computer-implemented features, a robust specification should include a multi-tiered disclosure of supporting algorithm at different levels of detail and with different alternatives – to preserve some scope of protection for potential means-plus-function (MPF) claim elements, as well as to include more potential candidates for “significantly more” at varying degrees of detail. Claims should recite the technological “how” or the “technological link” that results in the improvement in technology or improvement in the functioning of the computer itself. Dependent claims should be used for increasingly detailed specifics of that “how.” Claims must also continue to recite a computer, some hardware, and/or MPF claim elements to avoid characterization of the claim as being just a mental process and/or something done by paper and pencil. Continuation application practice may also be reconsidered so as to have an initial patent application with detailed specialized software recited in the claims and a continuation application for gradually broader claims. In the post-Alice world, there are significant disadvantages and increased scrutiny for business method and financial system claims because mere implementation of a business method or financial system on a computer is not enough. There is also a wide disparity in the post-Alice decisions from district court judges, PTAB administrative law judges, and USPTO examiners. It ranges from the examiners and PTAB decisions adopting abstract ideas that essentially repeat the entire claim (see, for example, the above discussion of Ex Parte Cote) to one district court judge coming up with a different test for patent eligibility despite Alice. Five Federal Circuit decisions post-Alice so far addressed claims to business methods and pure data. More Federal Circuit guidance, besides the DDR case, is needed for a patent eligible computer-implemented software. Until then, the various strategies for overcoming a §101 challenge detailed in parts 1 and 2 of this article should help shape prosecution, litigation, and new application drafting. Copyright December 2014 by John P. Kong. Mr. Kong is a partner with Westerman, Hattori, Daniels & Adrian, LLP (WHDA) and can be reached at jkong@whda.com. The views expressed in this paper are personal to the author. They do not represent the views of WHDA, its employees, or its clients. 573 U.S. __, 134 S. Ct. 2347, 2359 (2014). Alice, 134 S. Ct. at 2358. DDR Holdings, LLC v Hotels.com, LP, 2014 U.S. App. LEXIS 22902, *46 (Fed. Cir. Dec. 5, 2014). Card Verification Solutions, LLC v Citigroup Inc., 2014 U.S. Dist. LEXIS 137577, *14-15 (N.D. Ill., Sept. 29, 2014). Alice, oral argument p. 13. Id. at pp. 18, 10. Card Verification, 2014 U.S. Dist. LEXIS 137577 at *12. Salesforce.com Inc. v. Virtualagility, Inc., CBM 2013-00024, pp.23-24 (PTAB, Sept. 16, 2014). Accenture Global Servs.,LLC v. Guidewire Software, Inc., 728 F.3d 1336, 1338 (Fed. Cir. 2013). Ultramercial, Inc. v. Hulu, LLC, 2014 U.S. App. LEXIS 21633 (Fed. Cir. Nov. 14, 2014). Id. at *17 (Mayer J., concurring); see also, I/P Engine, Inc. v. AOL Inc., 2014 U.S. App. LEXIS 15667 *27-33 (Fed. Cir. Aug. 15, 2014) (Mayer J., concurring); DDR, 2014 U.S. App. LEXIS 22902 at *47 (Mayer J., dissenting). Alice, 134 S. Ct. at 2360 (Sotomayor J., concurring). Ultramercial, 2014 U.S. App. LEXIS 21633 at *26-27. DDR, 2014 U.S. App. LEXIS 22902 at *51. Ultramercial, 2014 U.S. App. LEXIS 21633 at *30. DDR, 2014 U.S. App. LEXIS 22902 at *47. Ultramercial, 2014 U.S. App. LEXIS 21633 at *26. McRO, Inc. v. Namco Bandai Games Am., Inc., 2014 U.S. Dist. LEXIS 135212 (C.D. Cal. Sept. 22, 2014). The court initially considered the claims covering an approach to automated 3D computer animation, on their face, to be “tangible” and not an abstract idea. But then, the court proceeded element by element, subtracting out conventional features and then asking if what’s left is reciting something at a high level of generality, and whether this something left is an abstract idea. “[W]here a claim recites tangible steps, but the only new part of the claim is an abstract idea, that may constitute a claim to an abstract idea.” This is not Mayo’s two part test and ignores consideration of the claim as a whole. Digitech Image Techs., LLC v. Electronics for Imaging, Inc., 758 F.3d 1344 (Fed. Cir. 2014)(claims to data itself not patent eligible); Planet Bingo, LLC v. VKGS LLC, 2014 U.S. App. LEXIS 16412 (Fed. Cir. Aug. 26, 2014)(claims to managing/playing Bingo using a computer not patent eligible); I/P Engine, 2014 U.S. App. LEXIS 15667 (claims to information searching on the internet using a computer, combining content, e.g., guidebook for museums, with collaborative data, e.g., what other people thought about those museums, not patent eligible); buySAFE, Inc. v. Google, Inc., 765 F.3d 1350 (Fed. Cir. 2014)(claims to a contractual relationship by establishing transaction performance guaranties not patent eligible); Ultramercial, 2014 U.S. App. LEXIS 21633 (claims for showing an advertisement before delivering free content over the internet using a computer not patent eligible). John Kong Mr. Kong is a partner with Westerman, Hattori, Daniels & Adrian, LLP (WHDA) and can be reached at jkong@whda.com. The views expressed in this paper are personal to the author. They do not represent the views of WHDA, its employees, or its clients. This is very similar to the merger doctrine in copyright. I think adopting a similar test to the merger doctrine from copyright may help to eliminate many over-broad inventive concepts.